Trendsetters frequent the lively streets of King West on the hunt for new shopping and dining experiences. The area now has the magic of New York’s popular SoHo and the comparison is often made. As the neighborhood population grows, so do the many amenities. 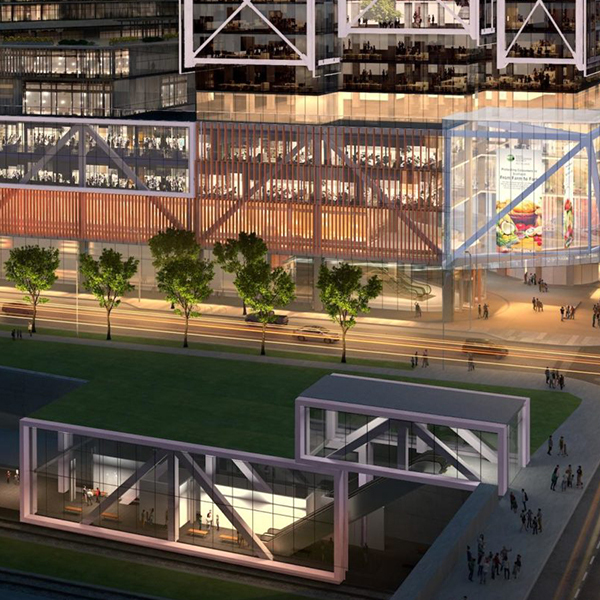 It is an area rich in cultural opportunities not far from some of Toronto’s major attractions. 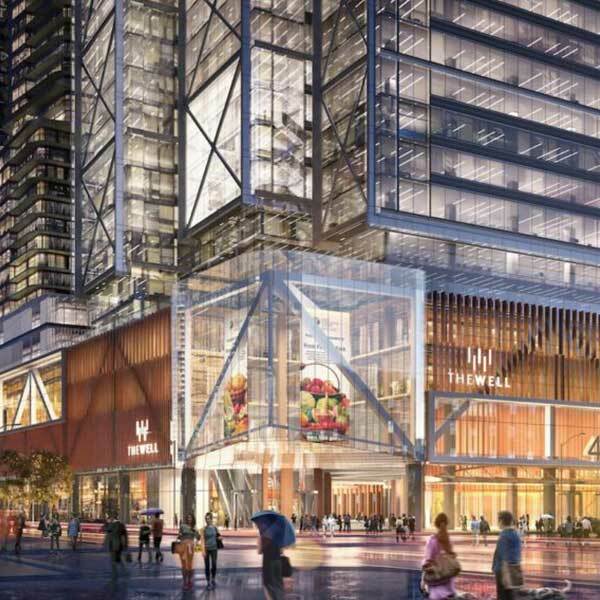 While the Entertainment District is within easy reach, also are the Metro Toronto Convention Centre, Rogers Centre, the CN Tower, Ripley’s Aquarium, CBC headquarters and more. There are enough eateries, boutiques, art galleries, clubs, and green spaces to please every taste. A variety of lifestyles fall under the King West umbrella. The kind of transformation that projects like The Well brings shows the dramatic consequences of redeveloping a once languishing neighborhood. Development is rampant offering residents the best of modern urban luxury living. 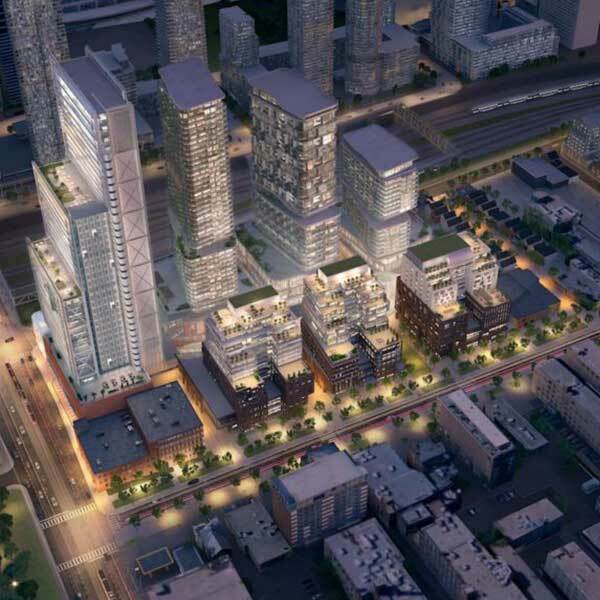 The mixed-use plan complex is in a location home to massive modification that used to end at Spadina. In a few years’ time, the region north to Wellington and west to Spadina will be unrecognizable. 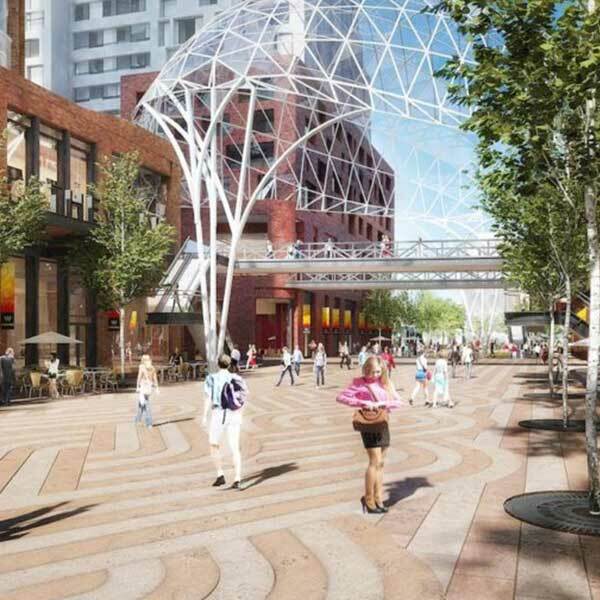 The old industrial sections will be rebuilt to accommodate office and retail space, an abundance of green spaces and parks, and a dense residential community. 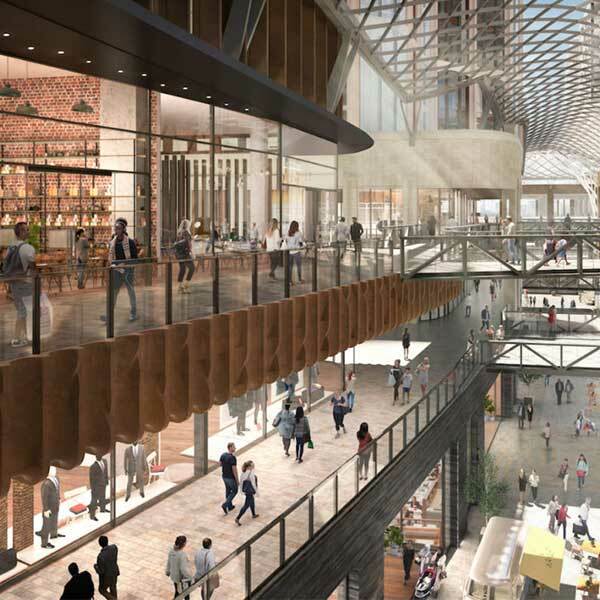 The influx of new residents will enrich the local economy and spur the development of new amenities so that upgraded shops and services will abound. One’s conception of downtown is undergoing as much of a facelift as the city itself. These days in Toronto, everything is on a grand scale. Proximity of mass transit was always a part of the original conceptual design. Convenient access to the subway and buses is always a consideration in master planning and this project is no exception. The Well is so well located that motorists and those on foot can reach their destinations quickly and efficiently, perfect for reaching the surrounding amenities. Passengers to the Yonge-University-Spadina or Bloor subway line can find a route close to home. The Gardiner Expressway and Lakeshore Boulevard are in the district leading motorists to the rest of the city and suburbs. A condo location is not highly rated unless it is within minutes of stations, plus it must have a top walking score. 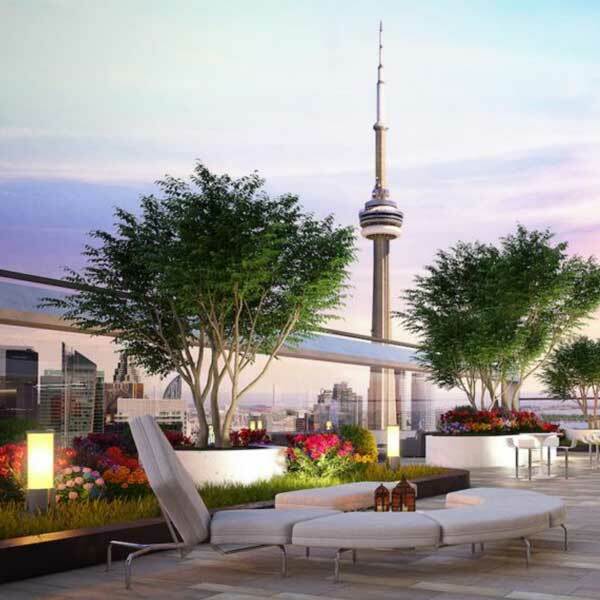 ​The Well Condominium complex will satisfy all the criteria for a premier Toronto locale. While many neighborhoods qualify, King West has its own special attractions that make it stand alone. As home to the Toronto International Film Festival, it has a glitzy reputation as being an art and cultural centre of the city.